Napier is best known as the Art Deco Capital of the world, but this offbeat New Zealand town has a lot more to offer. 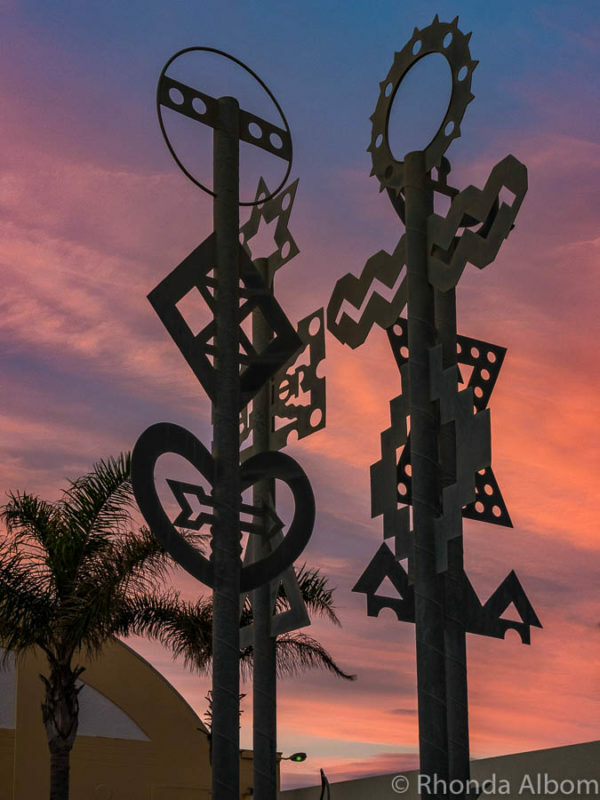 From Māori and European history to wine tasting or adventure, there are plenty of novel and fun things to do in Napier and the surrounding Hawke’s Bay region. To understand Napier, you need a brief history. In 1931 Napier was devastated by a 7.8 magnitude earthquake that levelled the main commercial district but didn’t break the town’s spirit. The extensive rebuild reflects the Art Deco style of the time. Today, Napier boasts a few of New Zealand’s more unique visitor opportunities. Somehow, these hillside houses survived the earthquake. 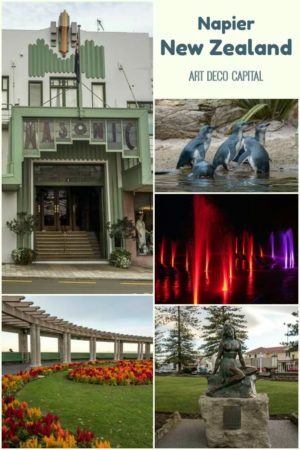 Below is our recommendation of things to do in Napier New Zealand, including several off the beaten path Napier attractions. 7 Where is Napier New Zealand? Starting with a nearly blank canvas, Napier’s architectural rebuild reflects the trendy Art Deco and Spanish-mission styles of the time. 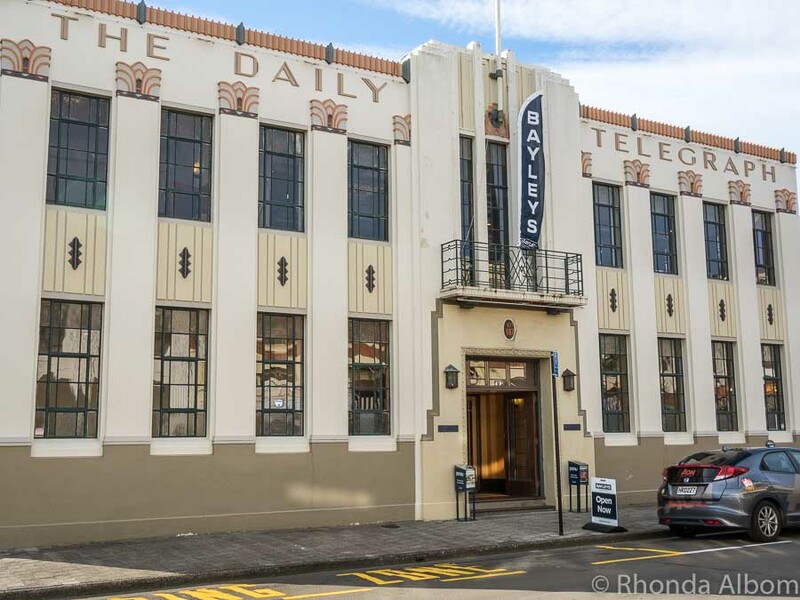 The best way to discover the detail is with a walking tour guided by Napier’s Art Deco Trust. The fascinating stories, history, and detail of the architecture came to life through our passionate volunteer guide. 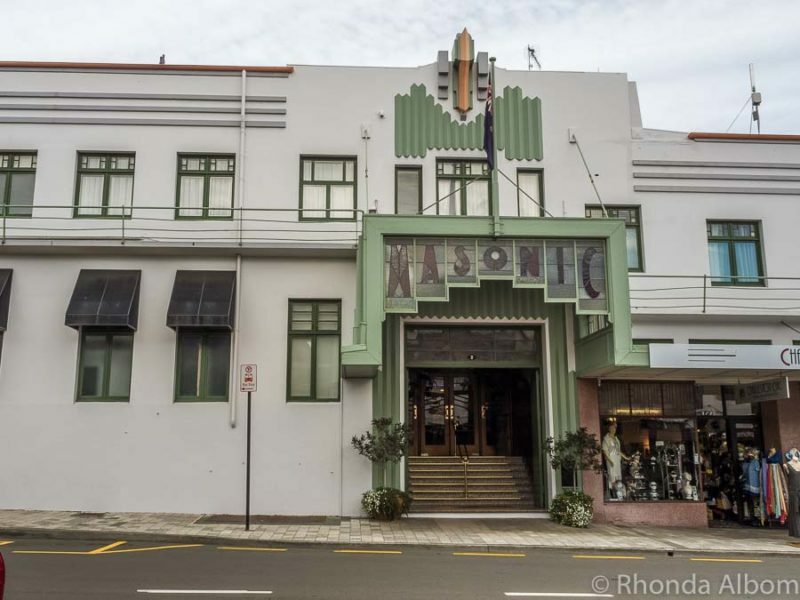 The Masonic Hotel is one of the 140 art deco buildings in Napier. If you’re in New Zealand in February, grab some 1930’s period clothing and head to Napier for the Tremains Art Deco Weekend. It’s a citywide themed party that attracts over 40k people over four days. The weekend highlights include vintage car parades, fashion shows, outdoor concerts, and Great-Gatsby-themed picnics and dances. 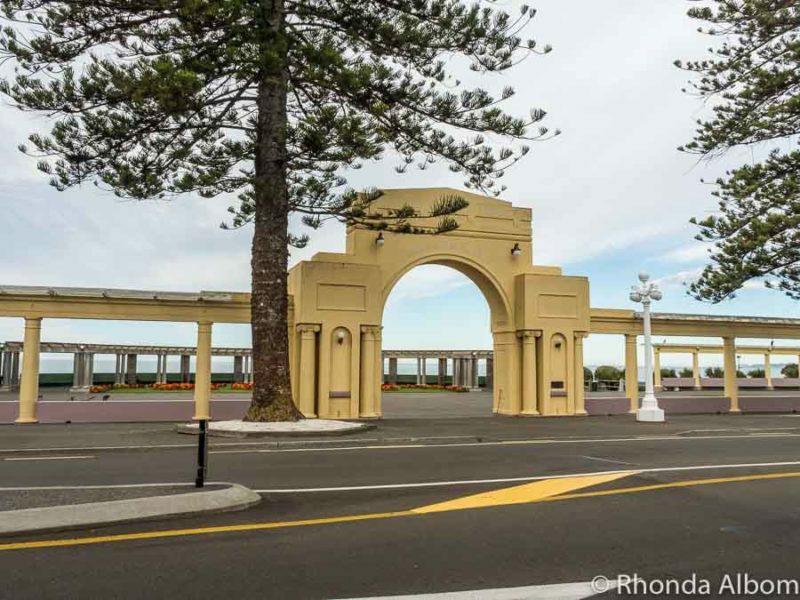 A walk along Marine Parade is a must do for any visitor to Napier. Paralleling the coast, the seemingly endless Napier beach and cliff tops are interweaved with Norfolk pines, gardens, monuments, sculpture, fountains, and flowers. It’s hard to miss the Marine Parade Arch. When looking straight through the arch, the plaque of the HMS Veronica is visible. For special Napier events, the ship’s bell hangs below the sign; otherwise, it is on display at MTG. The crew of the HMS Veronica provided the first outside source of help following the earthquake. Napier is one of the sunniest regions in New Zealand, boasting approximately 2350 hours of sunshine per year. This great weather is evident in the popularity of its beaches. Sandy Bay is a swimming beach located north of the Marine Parade, just past the port. 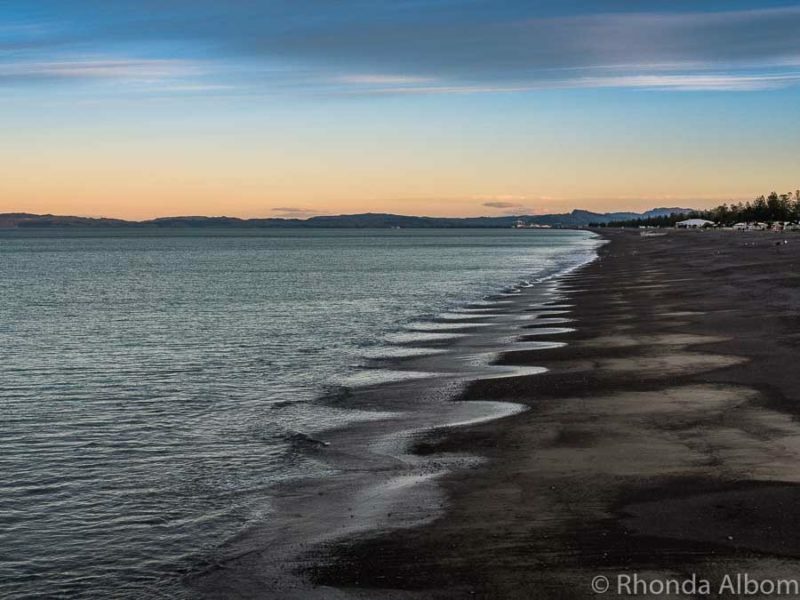 Marine Parade Beach (Napier foreshore) just after sunset on a cool autumn evening. While it is a great place to relax and watch the waves, swimming is not advised. In fact, it is listed here amongst five of New Zealand’s most dangerous beaches. From the Bluff Hill domain lookout, we enjoyed panoramic views of the sea that extended from Cape Kidnappers in the south to the Mahia Peninsula to the northeast. Cape Kidnappers was giving its name when local Māori attempted to abduct a member of Captain Cook’s crew in 1769. Mahia Peninsula is now home to Rocket Lab’s orbital launch site. Bluff Hill held a military battery during World War II. View from Bluff Hill. (I took this shot in 2010). The National Aquarium holds New Zealand’s most diverse range of aquatic animals and wildlife, both domestic and international. While I am fascinated by the sharks, stingray, piranha, and kiwi birds, it is the little blue penguins that won my heart. A highlight for many is watching them at feeding times (daily, at 9.30 am, 1.30 pm and 3.30 pm). If you visit in the morning you can watch the daily reef feeding at 10 am. However, an afternoon visit can include the 2 pm shark feeding in the 1.5 million litre Oceanarium. Hand-feed Penguins at the National Aquarium. The Little Penguin Encounter will take a maximum of four people behind the scenes for a tour of the penguin facility and a chance to hand feed these adorable birds. Great for families, with a minimum age of 6 for participation. 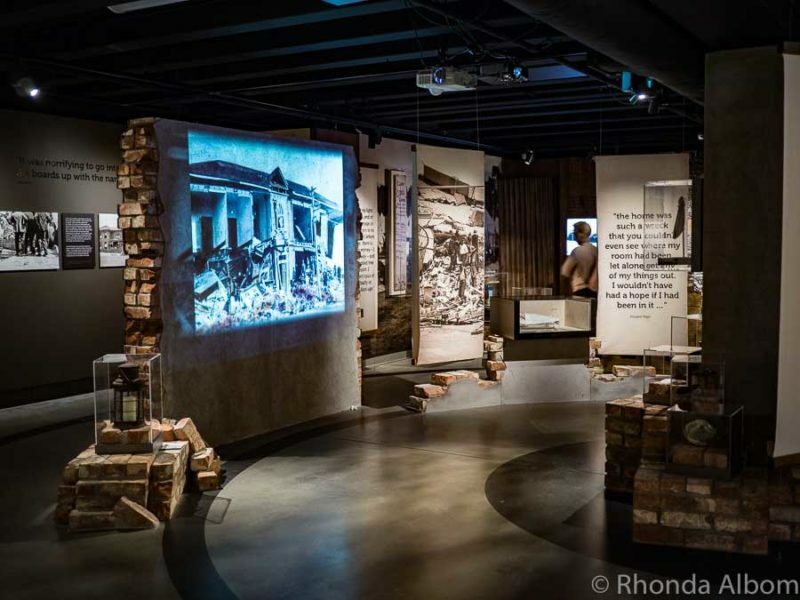 MTG Hawke’s Bay is a regional museum filled with art, Māori jewellery and artifacts, and local history including extensive detail on the devastating 1931 earthquake. Entrance is always free, so even a short visit will be interesting. The name: MTG stands for: Museum, Theatre, Gallery. 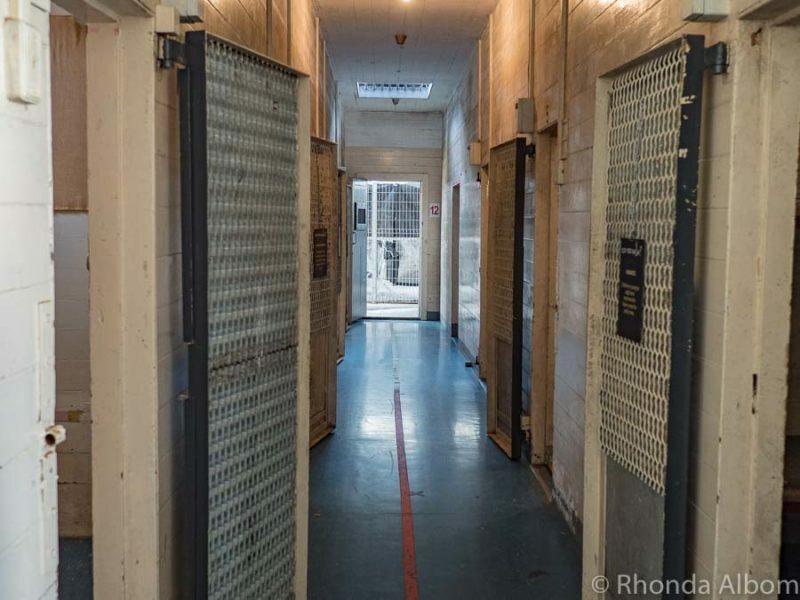 It is the stories that make the Napier Prison such a fascinating place to visit. Active from 1862 to 1993, it is New Zealand’s oldest prison. It is brought to life with the audio guide, or if you are brave enough you can enjoy an evening ghost walk (limited weekends). The self-guided audio tour took us through cells, the quarry, the hanging yard, and even the small cemetery where the only four prisoners ever hung here are buried upright to prevent them from achieving eternal rest. In one of the rooms, there is a case with a few random objects including a key retrieved from a prisoner. Apparently, in the 1980’s a prisoner had copied a key and rather than escaping, he used it on a regular basis to go to town for KFC (yes, that is Kentucky Fried Chicken). Waiapu Anglican Cathedral is the first cathedral in the world to greet each new day. Also called St John’s Anglican Cathedral, it was originally built in 1886, but, like much of the city was destroyed in the 1931 earthquake. The 19-year rebuild began in 1946. 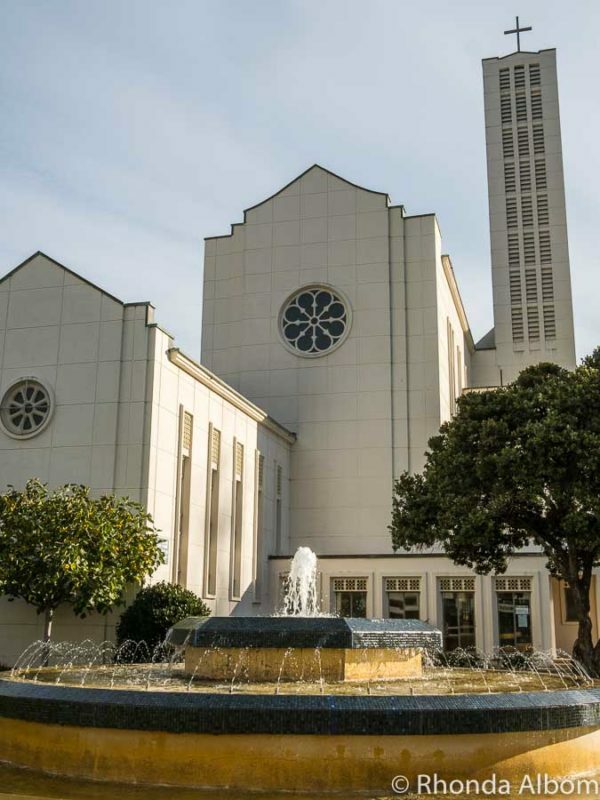 By 1965 an architecturally modernist-style cathedral had been completed. It is best known for its abstract style stained-glass ambulatory windows depicting scenes from the life of Christ. It is closed on Saturdays, and we missed our chance to get inside. 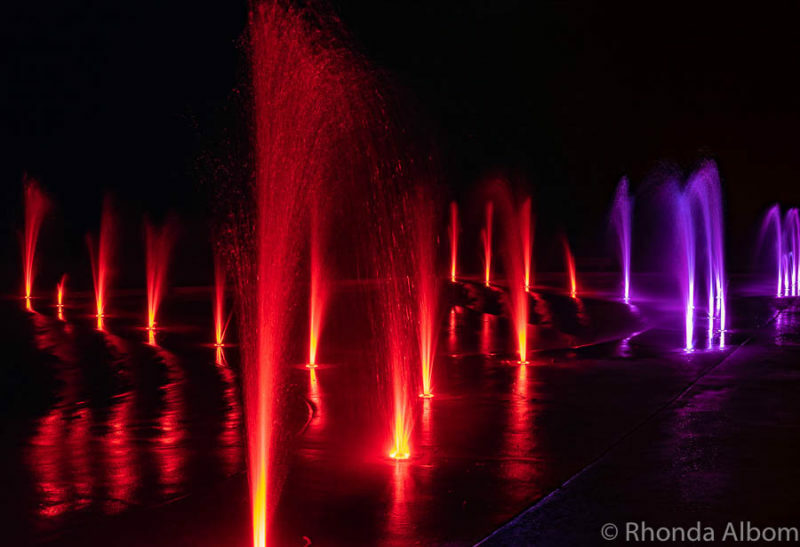 Ever changing colourful lights create a dancing effect from this inground fountain. The late autumn wind gave me a chill as I watched, but it also created a misty fan like effect at the top of each spout. To my surprise, a group of teenagers couldn’t resist running through the spouts, trying to time the water so as not to get wet. They failed. Just 10 km southwest of Napier (and on the way to Te Mata Peak) is the car park for Otatara Pa. 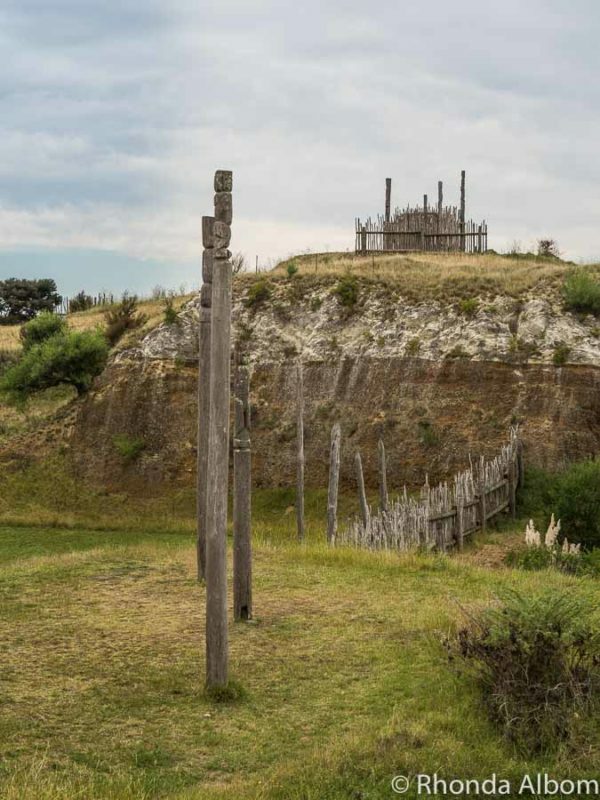 This archaeological site is the largest pa (fortified Māori village) in Hawke’s Bay. The one hour walk passes through quarry and palisades, pou, raised rim storage pits, house sites, views of terraces, and the defensive bank and ditch. Some have been reconstructed. The views from the top can extend from Mount Ruapehu to Cape Kidnappers on a clear day. With so many fabulous Hawke’s Bay walks, choosing a favourite is difficult. Of the amazing views we saw, Te Mata Peak tops my list, and we are not alone as an estimated 200,000 people visit annually. 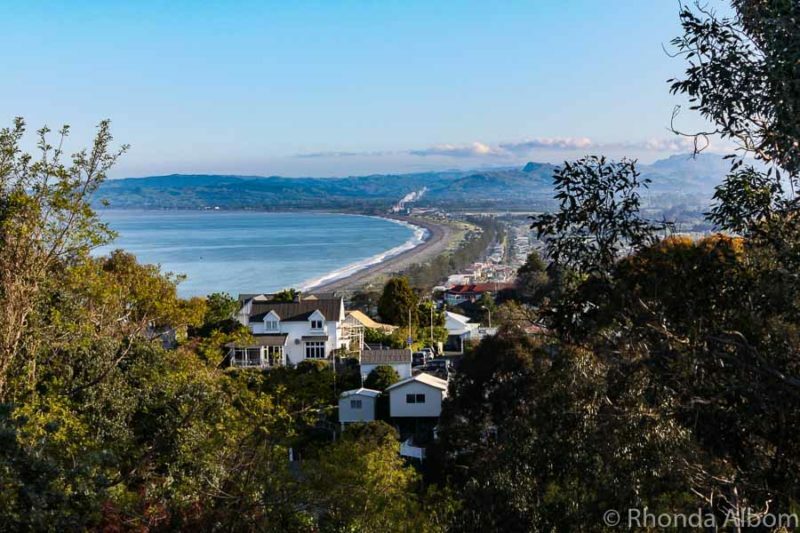 Rising 339 meters, and towering over the neighbouring countryside and forested areas, the extensive views incorporate nearly all of the Hawke’s Bay region. 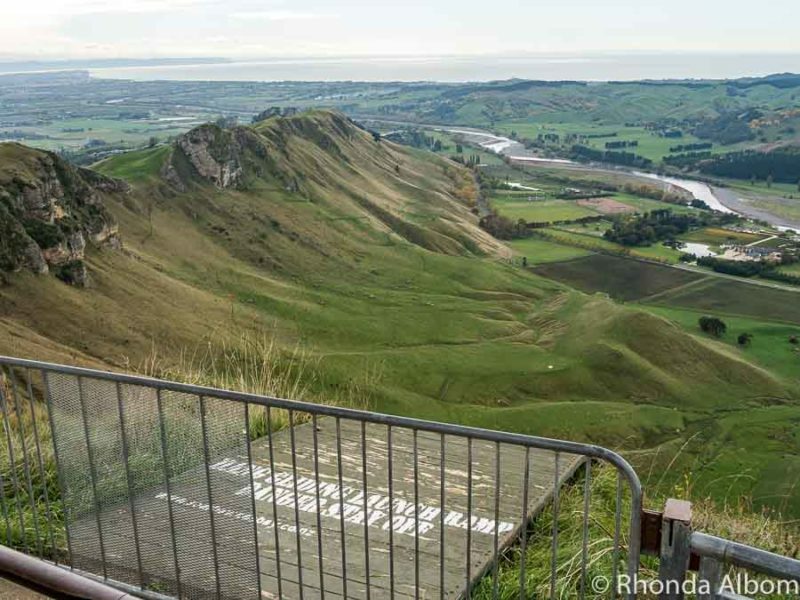 The surrounding 99-hectare of Te Mata Park host an expansive network of hiking and mountain biking trails. Click here for a map of the hiking trails. Māori legend tells us that this is the spot where Chief Te Mata O Rongokako attempted to eat his way through the cliffs to win the hand of his lover. Named Taumata-whaka-tangihanga-koauau-o-Tamatea-turi-pukaka-pikimaunga-horonuku-pokai-whenua-kitana-tahu, the hilltop behind the sign has the world’s longest place name. 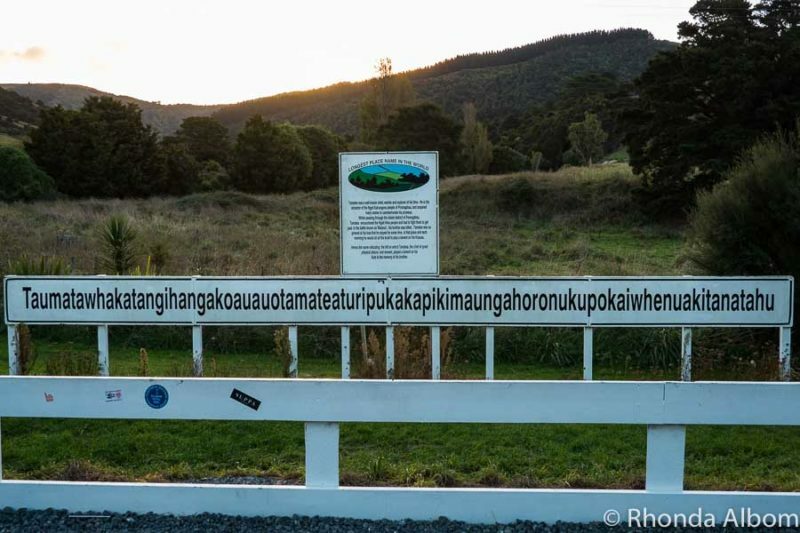 It translates to ‘The hilltop where Tamatea with big knees, conqueror of mountains, eater of land, traveller over land and sea, played his koauau to his beloved.’ It is the world’s longest place name. It is located near Porangahau. Cape Kidnappers Golf Course is rated number 2 in New Zealand. Here you can go 18 holes on one of the world’s top 50 courses. Plus, the scenery is fantastic. We didn’t visit. If you are travelling in summer (November to February), take time to observe the world’s largest mainland Gannet Colony at Cape Kidnappers. These graceful birds fly thousands of miles to feast and breed in New Zealand, returning to Australia for winter. The east coast of New Zealand is the first place to welcome each new day. Therefore, if you head to any Napier beach at dawn, you will be one of the first people to see the new day’s sunrise. (Only a few seconds after Gisborne in the East Cape). Napier options cover the full gambit from beachfront luxury with amazing ocean views to backpackers. We opted to stay in a family-friendly accommodation across the main road from the beach. Where is Napier New Zealand? 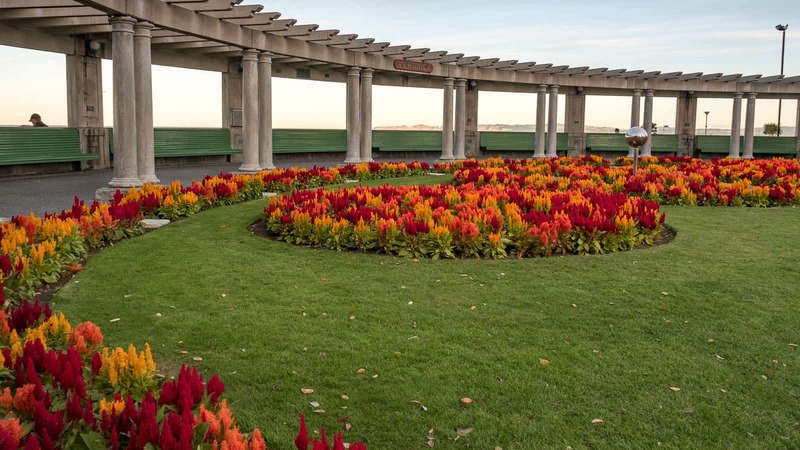 Whether you want art deco, wine tasting, or something else, if you are arriving in Napier via cruise ship, you will not have enough time to see it all. Check out what the ship offers, then take a look at these independent options, all from Viator, a TripAdvisor company. We find they generally have much smaller groups, more personal attention, and lower cost than the ship’s excursions. And, Viator offers of a worry-free shore excursion guarantee on most of their options (read the details of the tour you choose). If you are NOT arriving via ship and your plans are flexible, you might want to check here for the Port of Napier cruise ship schedule. As you can imagine, having cruise ships in port makes many of the popular venues crowded. 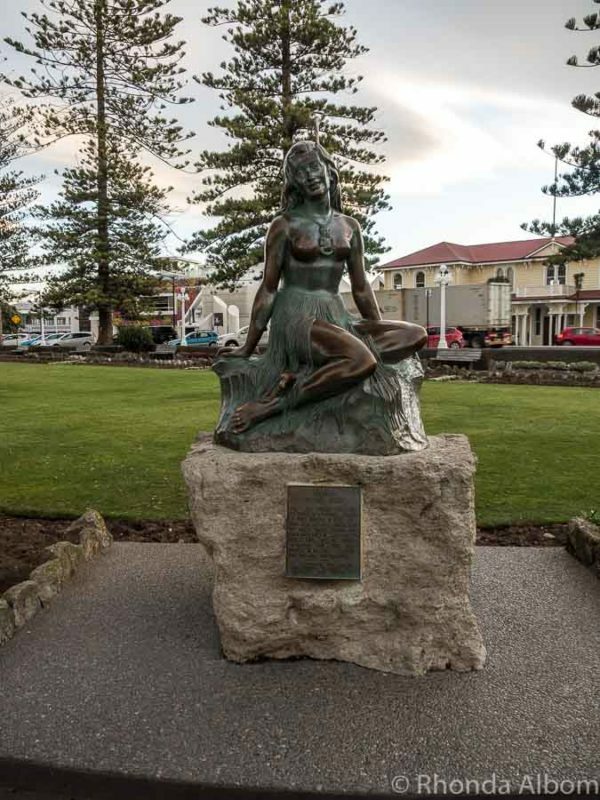 Which of these things to do in Napier will you do first? Disclaimer: We worked with Hawke’s Bay Tourism, the local tourism board. Also, we were provided with many complimentary entrances, tours, sample items, or media rates to assist in the writing of this review. However, the opinions expressed here are strictly our own. Great article! New Zealand has always been there on my bucket list! Now I know where to start from. We loved Napier, Rhonda. Your photos and text do it justice! I thought I left a comment here before. Oh well I’ll do it again. All these photos are fantastic Rhonda. Have a great Sunday my friend. See ya. By the way, did you receive the email that I sent you about the camera change that I would like to do? My favorite would be seeing those blue penguins, for sure! Napier looks like a beautiful place, and I love that you can hike up a bluff for the view and be as active as you want here. It’s amazing that those lovely houses perched on the hill survived a major earthquake! What a beautiful place with lots of history. I’ve never heard of Napier and after reading your post I know I would love it! 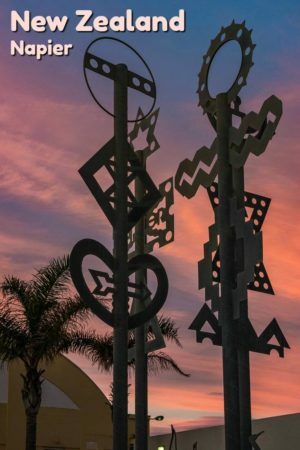 I like traveling to smaller cities and towns and this has so many things of interest to me with the Art Deco tours, wineries, historic prison, archaeological sites and beautiful scenery. So funny that a prisoner made a key and used it to get KFC! Thanks so much for sharing! Pinned! Great post. I’d love to be there for the Art Deco Weekend in February. I love the art deco style, obviously it is awful that so much of the town was destroyed in the earthquake but it has created a beautiful unique town! I would be all over the winery tours too – great point about not drinking and driving, having someone else take you is so much better! Te Mata Peak looks like a great hike too. You had me at Art Deco Tours! I love that old architectural style. So much to do here. I need a month to visit New Zealand. Napier especially. Once again your photo tour mesmerizes! This is a jam packed itinerary to Napier! 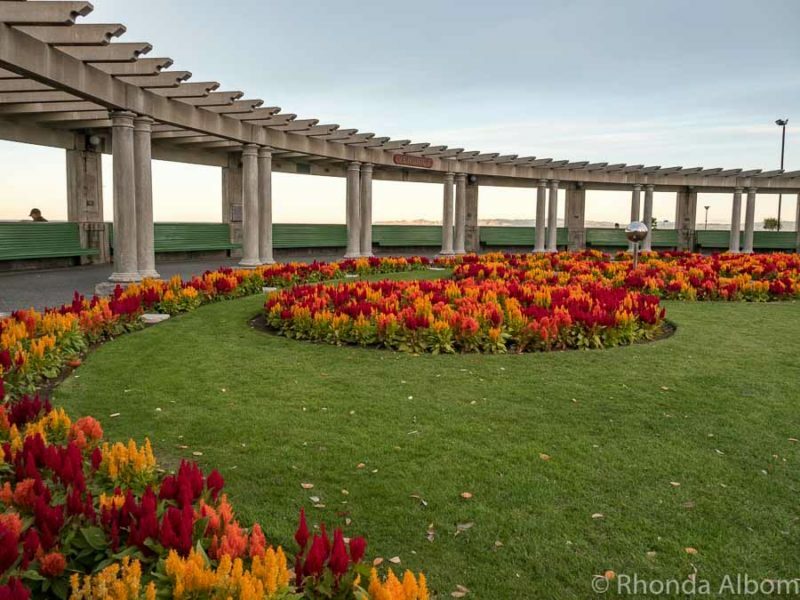 Looks like there are so many great things to do here, love the art deco tour; who knew?! And I also adore those little blue penguins, they’re precious! Thanks for the tip on the beach too; it looks so tame, but I’ll be sure not to go swimming here. I hadn’t even heard of Napier and now I’m wondering how that’s possible since there’s just so much to do here! The hike (I’d probably prefer the hike) to Te Mata Peak absolutely tops the list for me though. I love getting out an hiking! Napier sounds like a great place to visit. And based on its weather, a nice place to settle/live as well. Of all the fun things you have listed in the article, two that I would absolutely love are: hiking up the Te Mata Peak and experiencing the dancing fountains at night. I would surely enjoy these two. I love everything in this post, and am hoping to visit NZ again. But the most interesting is the longest name, i will copy it to post on my FB wall for others’ information, hehe! We are hoping to travel to New Zealand in a couple of years, and I need to add Napier to my list. Thanks for the great information. Can people really say that long name? Happy travels and have a great week. 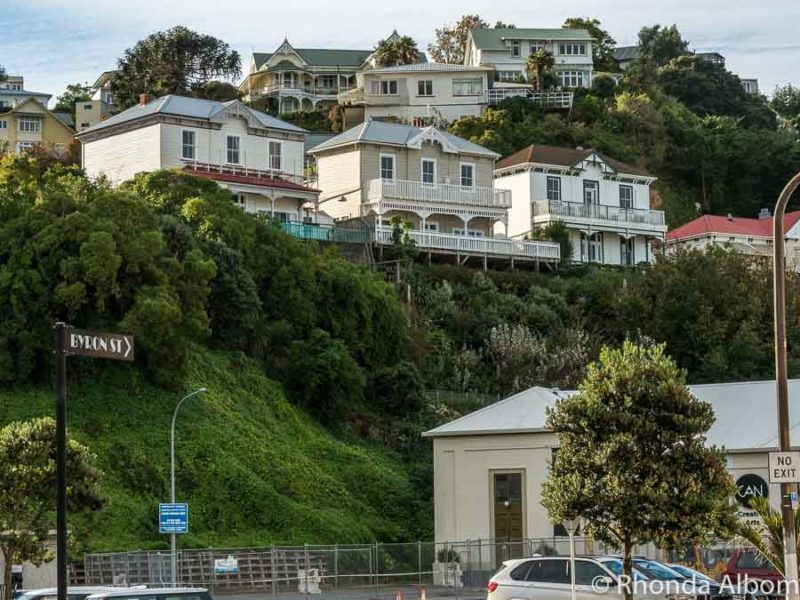 Napier is definitely an off-beat and relatively lesser known destination of New Zealand, but it sure is a complete destination in its own right. There are so many things to experience in Napier. Love the idea of an Art-Deco walk. The hiking and biking options in the beautiful outdoors of the place is another attraction that draws us to the place. 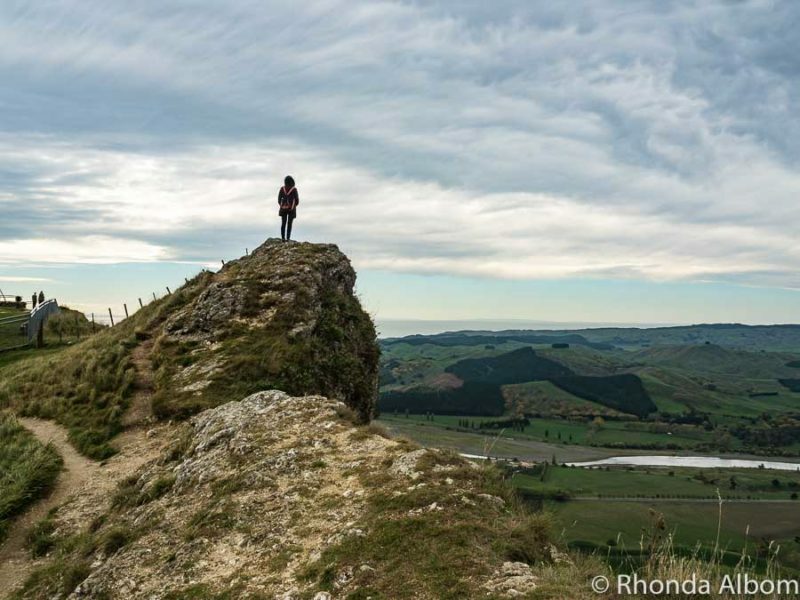 The hike to Te Mata Peak sounds really thrilling and something that we would love to do too. Yes, Napier is quite a bit about the Art Deco (and I am writing more about that next week). But there is so much more to it. I have been to NZ but never visited Napier. The photo of the dancing fountain, reminds me of Las Vegas! I love your photography too, there appears to be lots to do in Napier. The fountains reminded me of the one outside the Burj Khalifa in Dubai. It was fun to watch as the colours changed. napier is on my bucket list of places to visit, my family came from there. You really should visit. It’s lovely, and there are so many cool and unique things to do, in addition to finding some of your family histories. I didn’t realize that New Zealand has so big earthquakes. I thought, you’d be safer there than in California, lol! There seem to be quite a few things to do in Napier. If I were to choose, I’d probably done one of the Hawke’s Bay Shore Excursions if I go there. We are on the same Pacific Ring of Fire that California is on, and like CA, we have areas closer and father from fault lines. There are very few earthquakes where I live. I laughed when you said , ” The late autumn wind gave me a chill “. Here I am sitting in sweat because we are having a week near 100 degrees. I would be willing to give you some of that heat that we’re having. I wonder how those homes didn’t fall down after that earthquake. Amazing! Have a great day Rhonda. See ya. It took me a few years to get used to living in the Southern Hemisphere and the opposite seasons, and I will happily take some of your heat. As for the homes, yes, it is a wonder to look at and know they survived. Napier looks like the size of place I like to visit – kind of Goldilocks like…not too big or too small. 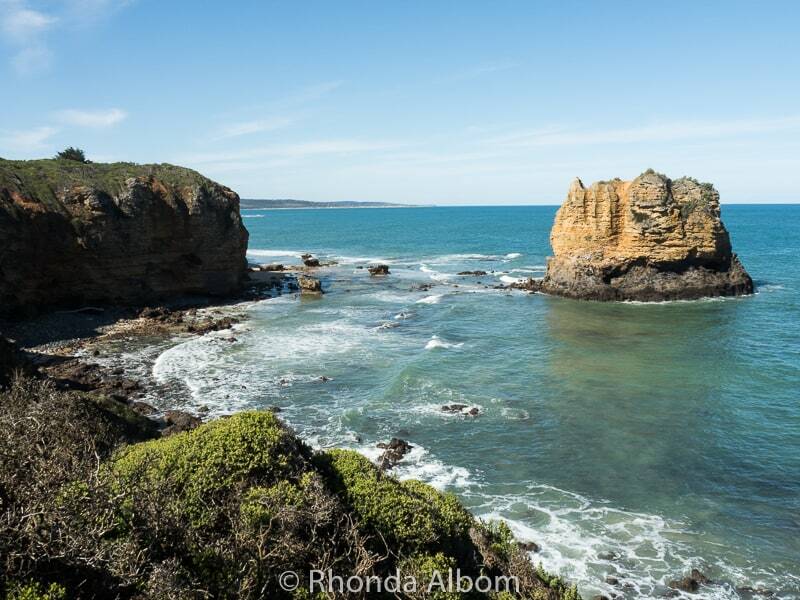 And beaches, hilly views and penguins – it will go on my list. 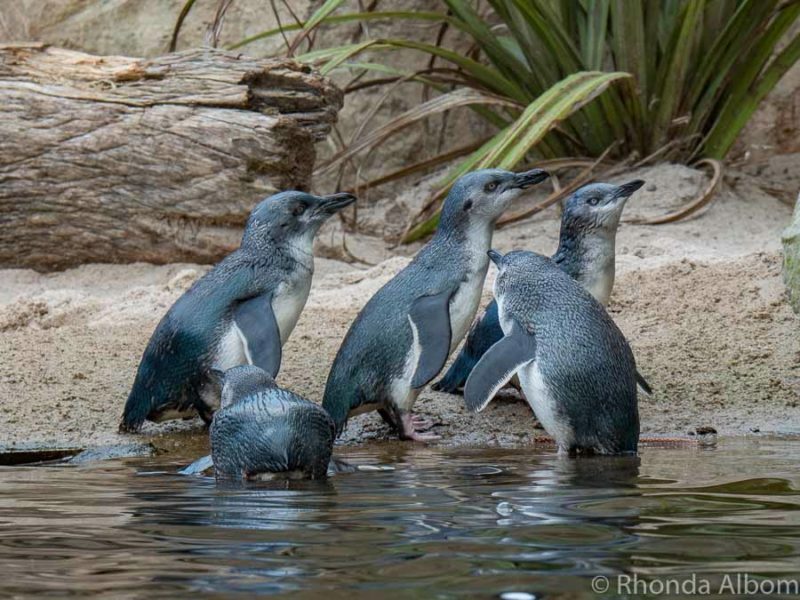 The penguins are at the aquarium, but you can see wild penguins in other parts of New Zealand. I agree. I think Napier would be a lovely place to live, especially as it is one of the sunniest places in New Zealand. Hmm, I wonder if the New Zealand city was named after the same English place that your school was named for. Afterall, we were a British colony. Great article! I know of Napier for its architecture, but didn’t realise there was so much more to do there! Sounds like a beautiful place to spend a few days. LOL – I didn’t realize there was so much there either before I began my research. Bring a tripod for the dancing fountains. The colours change, and the spouts rotate in height and timing. A long exposure allows for a more detailed shot. I absolutely love all of your amazing ideas! This gorgeous country is definitely on my travel bucket list!!! Come for a long time, there are so many amazing places to see in New Zealand. Thank you for this lovely post Rhonda. The pictures look great and The Atea a Rangi Celestial Star Compass is something I’ve never seen before. Would love to visit the place. Yes, that star compass is pretty cool. I have lots of photos of it and am considering making a second article about it. What do you think? Looks like there are lots of fun things to do there. They all sound great, but I think I’d be heading straight for the winery. I love Hawke’s Bay wines, so I think a wee tour around there would be a fantastic introduction to Napier! Yes, Hawke’s Bay Wines are world famous. 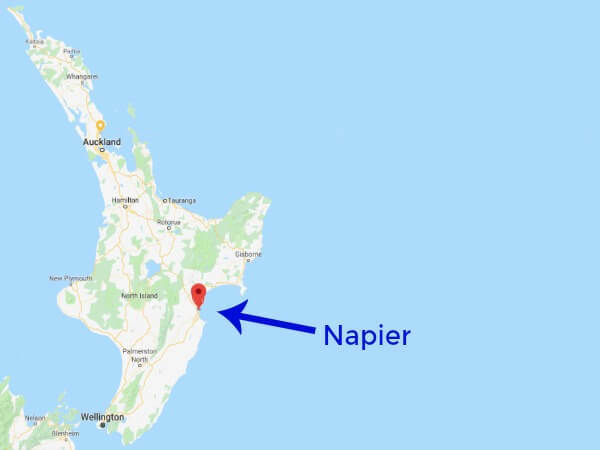 I haven’t heard of Napier, New Zealand before. It looks like a really beautiful place, I have to go their ASAP. It’s along the east coast of the North Island. This is a great list! I would love to read a book based on that KFC prisoner! Haha! LOL – I don’t know if there is one, but it sure is a great tale waiting to be told by someone who knows the full story. New Zealand is such a beautiful country. This place is so beautiful. Thanks for sharing. Thanks. I came to Napier for the architecture, so I was really pleasantly surprised to see so much natural beauty as well. 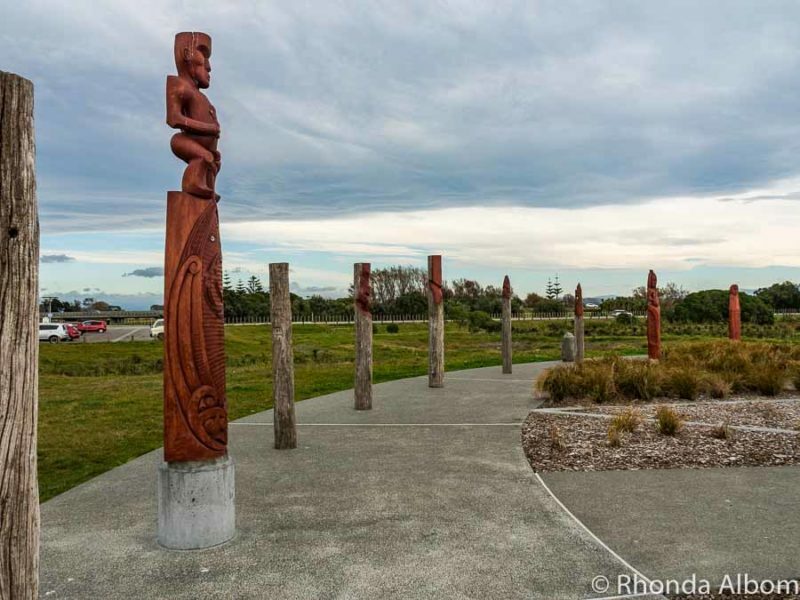 Hi Rhonda, I came across this as a Napier local – it’s a fantastic post about many of the wonderful things to do in our town. There’s just one thing in it that I worry about – the beach you have shown in the photo is Marine Parade Beach, also known as the Napier foreshore. It is extremely dangerous at all times of year and people are never advised to swim there. Sandy Bay is actually just around the corner, on the other side of the port, and provides a safe swimming spot sheltered by the port operation. Please update your post! Thank you. Thanks for catching this. It is correct above now. I love those blue penguins Rhonda. We missed ’em in Timaru. For a few night we chilled at the beach well after sunset, when they sometimes head into shore for the evening. But during fall, heading into winter months, blue penguins aren’t as frequently spotted, as is the case during hatching season. Either way, the aquarium and Napier look like a total blast. We saw little blues come home in Dunedin at the Royal Albatross Centre. It was pretty magical. The photos are beautiful! I would love to go to New Zealand some day! The architecture and scenery looks incredible and the star compass looks amazing too! It definitely sounds like a place I would enjoy very much! That star compass is relatively new, and really cool. You can feel that you are somewhere special when you stand in the centre. Great view from the hill. Looks like a lot to see there. I would go. We instantly knew why that hill was so popular, although I don’t think I could be brave enough to hang glide from there. That photo of the Marine Arch is lovely. Looks like NZ has some pretty amazing skies in the fall as well. Love those sunsets – particularly the one off the beach! So beautiful. The penguins are too cute and too sweet!!! I would love to see them! Yes, it was actually the rainbows that I noticed most in the sky when I first moved to New Zealand.